Horror Channel is the UK’s original channel dedicated to the dark side of cinema and television. With an eclectic mix of ground-breaking and genre-defining content including niche, cult and box office smash movies along with fantasy, sci-fi and supernatural series, you'll be entertained and terrified. Available in over 26 million UK households, Horror Channel and timeshift channel Horror Channel +1 reach an average of 3.3 million adults every month. Popular shows include TV series Tales from the Darkside, War of The Worlds, The Incredible Hulk and Hercules: The Legendary Journeys; a movie portfolio spanning all horror genres featuring some of the most controversial films made in the history of horror. Launched in November 2009, Horror Channel is part of the fastest growing portfolio of entertainment channels in the UK, a partnership between CBS Studios International and leading international broadcaster AMCN International - UK. Starburst Magazine boasts an extraordinary heritage of covering all things genre related as the world’s longest running magazine of cult entertainment. Starburst remains a market leader as a publication by fans for fans, serving their readers with all the latest news, reviews, interviews, exclusive features, retrospectives and competitions across every popular medium, including movies, TV, books, comics, games, music, merchandise, events and everything else in-between. Founded in 1971, White Light is a leading supplier of creative solutions and technical excellence to the entertainment, broadcast and corporate-event industries. We are the leading lighting supplier to London’s West End, with current productions including Aladdin and Harry Potter and the Cursed Child. We also work regularly with Adidas, ITV, Gucci, Selfridges, BBC Worldwide and Warner Brothers to name but a few. All of our work is serviced from our base in Wimbledon, south-west London, which offers 65,000 square feet of warehouse and equipment preparation space and 10,000 square feet of office space. In an awesome basement setting you can book sessions in 2 hour blocks, and game to your hearts content. We have every single game and console that you can imagine, from the Vectrex to the Game Cube, from Playstation 1 to Pong on the Binatone TV Master IV. 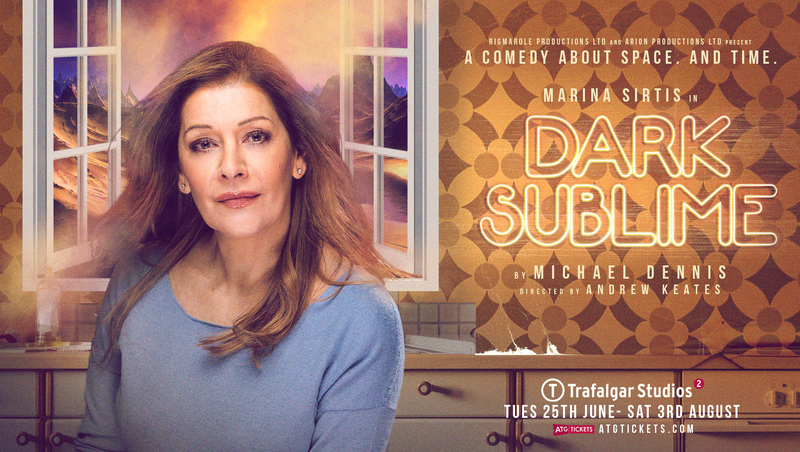 Dark Sublime is a brand new comedy by Michael Dennis, starring Marina Sirtis and directed by Andrew Keates which plays from 25 June - 3 August 2019 in the West End's Trafalgar Studios. Their director and producers will be attending the Sci-Fi Ball. They will be offering a special guest panel on Saturday and Sunday discussing Dark Sublime and how theatre and sci-fi has influenced each other. They'll also have some special Dark Sublime goodies to giveaway and even an exclusive ticket offer only for attendees of the Sci-Fi Ball.